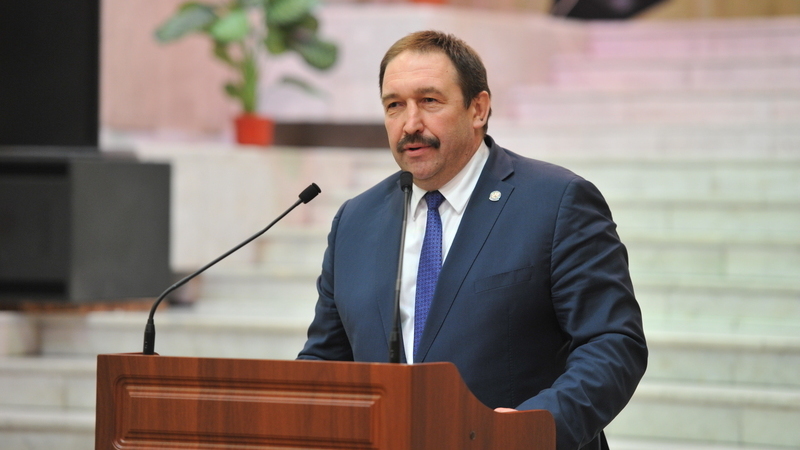 On April 18, at the Kazan National Cultural Center, Tatarstan Prime Minister Aleksey Pesoshin took part in a solemn event dedicated to the 105th anniversary of social, legal and scientific magazine “Khokuk khem khayat – law and life in Tatarstan”. Speaking at the event, on behalf of the local Government and on behalf of Tatarstan President Rustam Minnikhanov, Pesoshin congratulated the staff of the magazine on a significant date. According to Pesoshin, publication of magazines are always of interests not only in academic circles among academic lawyers but in the expert community among professional practitioners, representatives of the federal, regional and municipal authorities responsible for the development of legal policy. He also noted that the magazine is an excellent school for young lawyers. Tatarstan Prime Minister wished the staff the publication health, happiness and well-being. Pesoshin handed over the state awards of the republic of Tatarstan to the representatives of the publication. A gala concert ended the evening.